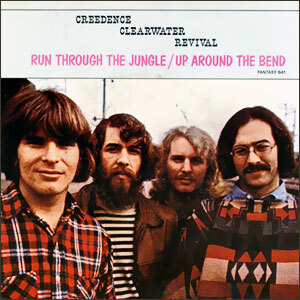 Creedence Clearwater Revival (often referred to as Creedence or CCR) was an American rock band active in the late 1960s and early 1970s which consisted of lead vocalist, lead guitarist, and primary songwriter John Fogerty; his brother rhythm guitarist Tom Fogerty; bassist Stu Cook; and drummer Doug Clifford. These members had played together since 1959, first as The Blue Velvets and later as The Golliwogs. Their musical style encompassed roots rock,  swamp rock,  and blues rock. They played in a Southern rock style, despite their San Francisco Bay Area origin, with lyrics about bayous, catfish, the Mississippi River, and other popular elements of Southern United States iconography, as well as political and socially conscious lyrics about topics including the Vietnam War. The band performed at the 1969 Woodstock Festival in Upstate New York. 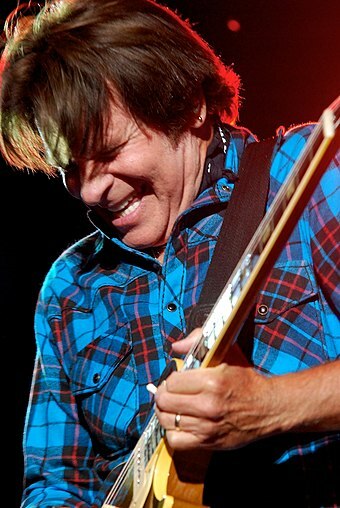 John Cameron Fogerty is an American musician, singer, and songwriter. 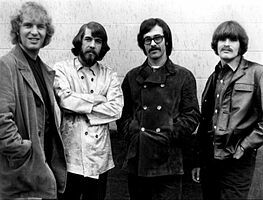 Together with Doug Clifford, Stu Cook, and his brother Tom Fogerty, he founded the band Creedence Clearwater Revival, for which he was the lead singer, lead guitarist and principal songwriter. The group had nine top-ten singles and eight gold albums between 1968 and 1972, and was inducted into the Rock and Roll Hall of Fame in 1993. Thomas Richard Fogerty was an American musician, best known as the rhythm guitarist for Creedence Clearwater Revival. He was posthumously inducted into the Rock and Roll Hall of Fame in 1993. Fantasy Records is an American record company and label founded by brothers Max and Sol Weiss in 1949. The early years of the company were dedicated to issuing recordings by jazz pianist Dave Brubeck, who was also one of its investors, but the label is known more for its recordings of comedian Lenny Bruce, jazz pianist Vince Guaraldi, and the 1960s rock band Creedence Clearwater Revival. Saul Zaentz was an American film producer and record company executive. He won the Academy Award for Best Picture three times and, in 1996, was awarded the Irving G. Thalberg Memorial Award. 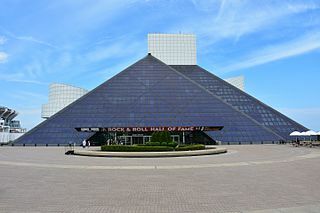 The Rock and Roll Hall of Fame, located in downtown Cleveland, Ohio, on the shore of Lake Erie, recognizes and archives the history of the best-known and most influential artists, producers, engineers, and other notable figures who have had some major influence on the development of rock and roll. The Rock and Roll Hall of Fame Foundation was established on April 20, 1983, by Ahmet Ertegun, founder and chairman of Atlantic Records. In 1986, Cleveland was chosen as the Hall of Fame's permanent home. John Fogerty, Doug Clifford, and Stu Cook met at Portola Junior High School in El Cerrito, California. Calling themselves The Blue Velvets, the trio began playing instrumentals and "juke box standards",  as well as backing Fogerty's older brother Tom at live gigs and in the recording studio. Tom soon joined the band, and in 1964 they signed with Fantasy Records, an independent jazz label in San Francisco that had released Cast Your Fate To The Wind , a national hit for jazz pianist Vince Guaraldi. The record's success was the subject of a National Educational Television special, which prompted budding songwriter John Fogerty to contact the label. For the band's first release, Fantasy co-owner Max Weiss renamed the group the Golliwogs (after the children's literary character, Golliwogg). The Blue Velvets was the first incarnation of the band that would later become known as The Golliwogs and, eventually, Creedence Clearwater Revival. Vincent Anthony Guaraldi, born Vincent Anthony Dellaglio, was an American jazz pianist noted for his innovative compositions and arrangements and for composing music for animated television adaptations of the Peanuts comic strip, as well as his performances on piano as a member of Cal Tjader's 1950s ensembles and for his own solo career which included the radio hit Cast Your Fate to the Wind. 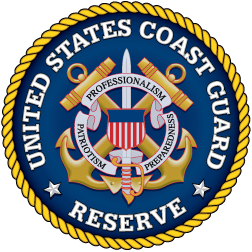 The United States Coast Guard Reserve is the reserve component of the United States Coast Guard. It is organized, trained, administered, and supplied under the direction of the Commandant of the Coast Guard through the Director of Reserve and Military Personnel. By 1968, Fogerty and Clifford had been discharged from military service, and all four members had quit their jobs to begin an intense schedule of rehearsing and playing full-time at clubs. [ citation needed ] AM radio programmers around the US took note when their cover of the 1956 rockabilly song  "Susie Q" received substantial airplay in the San Francisco Bay Area and on Chicago's WLS. [ citation needed ] It was the band's second single, its first to reach the Top 40 (No. 11), and its only Top 40 hit not written by John Fogerty. Two other singles were released from the debut: a cover of Screamin' Jay Hawkins's "I Put A Spell On You" (No. 58) and "Porterville" (released on the Scorpio label with writing credited to "T. Spicebush Swallowtail"), written during Fogerty's time in the Army Reserve. After their breakthrough, CCR began touring and started work on their second album, Bayou Country (1969), at RCA Studios in Los Angeles. A No. 7 platinum hit, the record was their first in a string of hit albums and singles that continued uninterrupted for three years. The single "Proud Mary", backed with "Born on the Bayou", reached No. 2 on the national Billboard chart. The former would eventually become the group's most-covered song, with some 100 versions by other artists to date, including the #4 1971 hit by Ike & Tina Turner, two years to the week after the CCR version peaked. John Fogerty cites this song as being the result of high spirits on gaining his discharge from the Army Reserve. The album also featured a remake of the rock & roll classic "Good Golly, Miss Molly"  and the band's nine-minute live-show closer, "Keep On Chooglin'". Weeks later, during March 1969, "Bad Moon Rising" backed with "Lodi" was released and peaked at No. 2. In the United Kingdom, "Bad Moon Rising" spent three weeks at number one on the UK Singles Chart during September and October 1969, becoming the band's only number one single in the UK. [ citation needed ] The band's third album, Green River, followed in August 1969 and went gold along with the single "Green River", which again reached No. 2 on the Billboard charts. The B-side of "Green River", "Commotion", peaked at No. 30 and the band's emphasis on remakes of their old favorites continued with "Night Time Is the Right Time". After Woodstock, CCR was busy honing material for a fourth album, Willy and the Poor Boys , released in November 1969. "Down on the Corner" and "Fortunate Son" climbed to No. 3 and No. 14, respectively, by year's end. The album was CCR in its standard form, featuring Fogerty originals and two reworked Lead Belly covers, "Cotton Fields" and "Midnight Special". Both of those songs had also been performed by actor Harry Dean Stanton in the movie Cool Hand Luke . 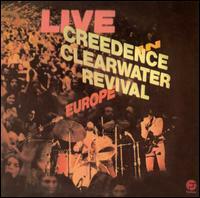 In April 1970, CCR was set to begin its first European tour. To support the upcoming live dates, Fogerty wrote "Up Around the Bend" and "Run Through the Jungle"; the single reached No. 4 that spring. The band returned to Wally Heider's San Francisco studio in June to record Cosmo's Factory . The title was an in-joke about their various rehearsal facilities and factory work ethic over the years. [ citation needed ] (Drummer Doug Clifford's longtime nickname is "Cosmo", due to his keen interest in nature and all things cosmic. )[ citation needed ] The album contained the earlier Top 10 hits "Travelin' Band" and "Up Around the Bend" plus popular album tracks such as the opener "Ramble Tamble". Pendulum , released in December 1970, was another top seller, spawning a Top 10 hit with "Have You Ever Seen The Rain?" John Fogerty included Hammond B3 Organ on many of the Pendulum tracks, notably "Have You Ever Seen The Rain? ", in recognition of the deep respect and influence of Booker T. & the M.G. 's, with whom the members of the band had jammed. The single's flip side, "Hey Tonight", was also a hit. The band's final album, Mardi Gras , was released in April 1972, featuring songs written by Fogerty, Cook, and Clifford and a cover of "Hello Mary Lou" (a song Gene Pitney had originally written for Ricky Nelson). The album was a critical failure, with Rolling Stone reviewer Jon Landau deeming it "the worst album I have ever heard from a major rock band." The sales of Mardi Gras were weaker than previous albums, ultimately peaking at No. 12, though it still became the band's 7th consecutive studio album to be certified Gold. Fogerty's "Someday Never Comes", backed with Clifford's "Tearin' Up The Country", also cracked the U.S. Top 40. By this point, Fogerty was not only at direct odds with his bandmates, but he had also come to see the group's relationship with Fantasy Records as onerous, feeling that label owner Saul Zaentz had reneged on his promise to give the band a better contract. Cook—who held a degree in business—claimed that because of poor judgment on Fogerty's part, CCR had to abide by the worst record deal of any major US recording artist. Despite the relatively poor reception of Mardi Gras and deteriorated relationships among the remaining band members, CCR embarked upon a two-month, 20-date U.S. tour. However, on October 16, 1972—less than six months after the tour ended—Fantasy Records and the band officially announced its disbanding. CCR never formally reunited after the break-up, although Cook and Clifford eventually started the band Creedence Clearwater Revisited. In 1973, Fogerty began his solo career with The Blue Ridge Rangers , his one-man band collection of country and gospel songs. Under his old CCR contract, however, Fogerty owed Fantasy eight more records. In the end, he refused to work for the label. The impasse was resolved only when Asylum Records' David Geffen bought Fogerty's contract for $1,000,000. In 1975 he then released his only Asylum album, the self-titled John Fogerty . His next major hit was Centerfield , a chart-topping success in 1985. On tour in 1986, however, Fogerty suffered complaints over his steadfast refusal to perform CCR songs and suffered with recurring vocal problems which he blamed on having to testify in court. Fogerty's explanation for not playing CCR material songs was that he would have had to pay performance royalties to copyright holder Saul Zaentz, and that it was "too painful" to revisit the music of his past. On February 19, 1987, at the Palomino Club (North Hollywood) in Los Angeles, Fogerty broke his self-imposed 1972 ban on performing CCR hits. Bob Dylan and George Harrison had joined him onstage, admonishing "If you don't, the whole world's gonna think 'Proud Mary' is Tina Turner's song." At a 1987 Independence Day benefit concert for Vietnam War veterans, Fogerty finally ran through the list of CCR hits, beginning with "Born on the Bayou" and ending with "Proud Mary". In 1986 he also released his second Warner Bros. album Eye of the Zombie . He retreated from music again in the late 1980s but returned in 1997 with the Grammy-winning Blue Moon Swamp . Fogerty still tours frequently and performs CCR classics alongside solo material. Junior high school friends Doug Clifford and Stu Cook continued to work together following the demise of CCR both as session players and members of the Don Harrison Band. They also founded Factory Productions, a mobile recording service in the Bay Area. Clifford released a solo record, Cosmo , in 1972. Cook produced artist Roky Erickson's The Evil One and was a bassist with the popular country act Southern Pacific in the 1980s. After CCR, Fantasy Records released several greatest-hits packages such as 1972's Creedence Gold, 1973's More Creedence Gold and 1975's Pre-Creedence , a compilation album of The Golliwogs' early recordings. Fantasy also released the highly successful double album Chronicle, Vol. 1 , a collection of Creedence's twenty hit singles, in 1976. Several years later, the label released a live recording entitled The Royal Albert Hall Concert. Contrary to its title, the 1970 performance was recorded in Oakland, California, not at the Royal Albert Hall in London, England. Subsequent issues of the original 1981 album have been retitled simply The Concert . Another double album of their best material was issued in 1986 as Chronicle, Vol. 2. The success of CCR made Fantasy and Saul Zaentz a great deal of money. Indeed, Fantasy built a new headquarters building in 1971 at 2600 Tenth Street in Berkeley, California. Zaentz also used his wealth to produce a number of successful films including Best Picture Oscar winners One Flew Over the Cuckoo's Nest , Amadeus , and The English Patient . In 2004, he sold Fantasy to Concord Records. As a goodwill gesture, Concord honored the unfulfilled contractual promises Fantasy made nearly forty years earlier, finally paying the band a higher royalty rate on their sales and restoring John Fogerty's ownership of his songs back to him. John Fogerty, seeing that Zaentz was no longer involved with the company, also signed a new contract with Concord/Fantasy. In 2005, the label released The Long Road Home , a collection of Creedence and Fogerty solo classics. After Revival came out on the Fantasy label in October 2007 but before his following album Blue Ridge Rangers Rides Again was issued in 2009, Fogerty switched from Fantasy to Verve Forecast Records. The Golliwogs were an American rock band that later evolved into Creedence Clearwater Revival. After previously playing as The Blue Velvets beginning in 1959, the band changed its name to The Golliwogs in 1964. Over the next three years they released a string of singles written by brothers Tom and John Fogerty. They became Creedence Clearwater Revival in 1967, in an incarnation in which they would enjoy great commercial and critical success. Cosmo's Factory is the fifth studio album by American rock band Creedence Clearwater Revival, released by Fantasy Records in July 1970, and released as Fantasy 8402 – the same month as the single release of "Lookin' Out My Back Door" with "Long as I Can See the Light" on the B side. 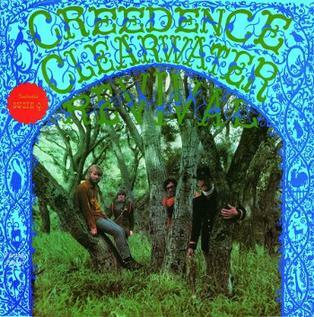 Creedence Clearwater Revival is the debut studio album by American rock band Creedence Clearwater Revival, released in 1968. 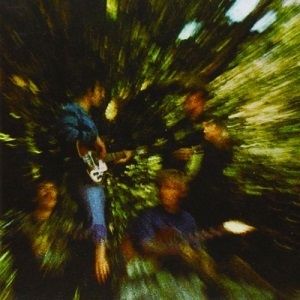 Bayou Country is the second studio album by American rock band Creedence Clearwater Revival, released by Fantasy Records in January 1969, and was the first of three albums CCR released in that year. 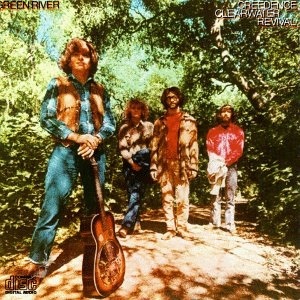 Green River is the third studio album by American rock and roll band Creedence Clearwater Revival, released in August 1969. It was the second of three albums they released in that year, the first one being Bayou Country which was released in January. 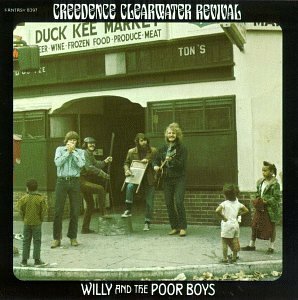 Willy and the Poor Boys is the fourth studio album American rock band Creedence Clearwater Revival, released by Fantasy Records in November 1969, and was the last of three studio albums that the band released in that year. Pendulum is the sixth studio album by American rock band Creedence Clearwater Revival, released by Fantasy Records on December 7, 1970—their second album release of that year. A single from the album, "Have You Ever Seen the Rain? "/"Hey Tonight", was released in January 1971. Mardi Gras is the seventh and final studio album by American band Creedence Clearwater Revival, released on April 11, 1972. The group disbanded after this album was released. Live in Europe is the first vinyl-Double-LP live album by American band Creedence Clearwater Revival, released in 1973 documenting the Mardi Gras tour. 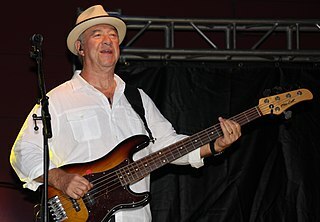 Stuart Alden Cook is an American bass guitarist, best known for his work in the rock band Creedence Clearwater Revival, for which he is a member of the Rock and Roll Hall of Fame. Pre-Creedence is a compilation album by The Golliwogs which changed its name to Creedence Clearwater Revival (CCR) in 1968. This album was released in 1975 after the band had disbanded. The Concert is the second live album by American rock band Creedence Clearwater Revival, released by Fantasy Records in October 1980. The album was recorded at the Oakland Coliseum in Oakland, California on January 31, 1970. Chronicle, Vol. 1, also known as Chronicle: The 20 Greatest Hits, is a greatest hits album by the American swamp rock band Creedence Clearwater Revival. It was released in January 1976 by Fantasy Records. The edited version of "I Heard It Through the Grapevine" featured on the album was simultaneously released as a single. 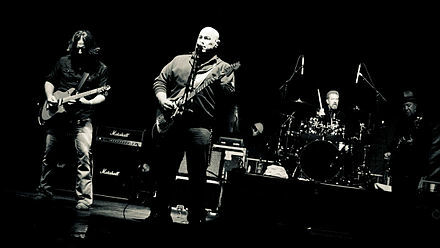 Creedence Clearwater Revisited is an American rock band formed in 1995 by bassist Stu Cook and drummer Doug "Cosmo" Clifford, former members of Creedence Clearwater Revival, to play live versions of that band's music. Chronicle: Volume Two, also known by the title including its subtitle as Chronicle: Volume Two - Twenty Great CCR Classics, is a compilation album by Creedence Clearwater Revival, released by Fantasy Records in November 1986. The collection follows Chronicle, Vol. 1 (1976), which includes all of the CCR's charted hits and remains the band's best-selling album. Creedence Country is a compilation album by American rock band Creedence Clearwater Revival (CCR). It was released by Fantasy Records in October 1981 with the purpose of infiltrating the country market. Cosmo is the only solo studio album by former Creedence Clearwater Revival drummer Doug Clifford, released shortly after that band's breakup. ↑ Cavanagh, David (July 18, 2014). 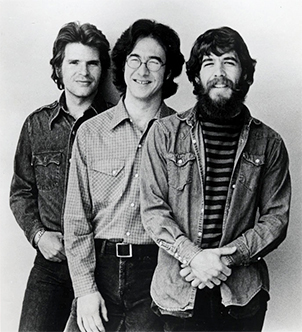 "Creedence Clearwater Revival – the full story, by John Fogerty, Stu Cook and Doug Clifford". Uncut . Retrieved March 27, 2018. ↑ Thomas M. Kitts (2012). Finding Fogerty: Interdisciplinary Readings of John Fogerty and Creedence Clearwater Revival. Rowman & Littlefield. p. 3. ISBN 978-0-7391-7485-2. ↑ Stephen A. King (June 1, 2011). I’m Feeling the Blues Right Now: Blues Tourism in the Mississippi Delta. Univ. Press of Mississippi. p. 52. ISBN 978-1-61703-011-6. ↑ "Fortunate Son". snopes.com. July 14, 2014. Retrieved March 8, 2015. 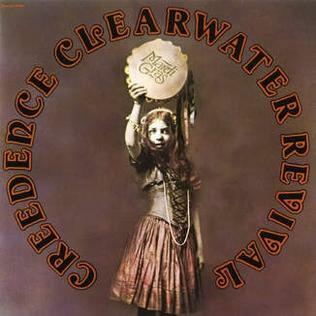 1 2 "Creedence Clearwater Revival". Rockhall.com. Retrieved March 2, 2010. ↑ "John Fogerty Explains CCR's Hall of Fame Meltdown". ↑ Arian Smedley (February 27, 2008). "'Oldies' radio bracket expands one decade". Chicago Tribune . Archived from the original on December 11, 2008. ↑ "Gold & Platinum". RIAA. Retrieved January 7, 2019. 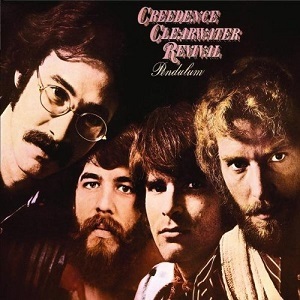 ↑ "100 Greatest Artists: Creedence Clearwater Revival". Rolling Stone. Archived from the original on October 16, 2011. Retrieved November 4, 2011. ↑ Fong-Torres, Ben (April 5, 1969). "Creedence C'water At the Hop". Rolling Stone (30). p. 9. ↑ "Fantasy Studios: Alive and Well in Berkeley". Crawdaddy.wolfgangsvault.com. August 6, 2008. Archived from the original on October 9, 2009. Retrieved March 2, 2010. ↑ Sullivan, James (May 14, 2010). "John Fogerty Sued for Plagiarizing ... Himself: Twisted Tales". Archived from the original on June 29, 2013. 1 2 3 4 Gilliland, John (1969). "Show 54 - Hail, Hail, Rock 'N' Roll: Getting back to rock's funky, essential essence. [Part 3]" (audio). Pop Chronicles . University of North Texas Libraries. 1 2 Hank Bordowitz (2007). Bad Moon Rising: The Unauthorized History of Creedence Clearwater Revival. Chicago, Illinois: Chicago Review Press, Incorporated. p. 64. ISBN 978-1-55652-661-9 . Retrieved August 27, 2011. ↑ Hank Bordowitz (2007). The Unauthorized History of Creedence Clearwater Revival Page 65. Chicago, Illinois: Chicago Review Press, Incorporated. p. 65. ISBN 978-1-55652-661-9 . Retrieved August 16, 2014. ↑ "The Ed Sullivan Show: Creedence Clearwater Revival / Jerry Lee Lewis". TV.com. Retrieved May 8, 2009. ↑ "Rock History - 1971 – John Fogerty is sued by the owners of Specialty Records". Thisdayinrock.com. October 14, 1971. Retrieved October 24, 2013. ↑ "Creedence Clearwater Revival Photo Gallery : Rolling Stone". Rolling Stone. February 21, 1970. Archived from the original on April 12, 2009. Retrieved May 8, 2009. ↑ "Most No. 2 Hits Without Reaching No. 1 By Artist". Billboard Magazine . Archived from the original (PHP) on December 28, 2012. ↑ "WLS Year Index". Oldiesloon. 1969. Retrieved December 26, 2011. ↑ "Creedence Clearwater Revival: Mardi Gras: Music Reviews: Rolling Stone". Rolling Stone. May 25, 1972. Retrieved May 8, 2009. ↑ Billboard – Google Books. Books.google.com. October 28, 1972. Retrieved August 30, 2010. ↑ "Blue Moon Swamp Interview". Swedish POP Magazine. 1997. Retrieved May 23, 2012. ↑ "John Fogerty: 'I had rules. I wasn't embarrassed that I was ambitious'". theguardian.com. 2013. Retrieved July 31, 2013. ↑ "Fortunate son". Calgary Herald. July 11, 2011. Archived from the original on July 15, 2011. Retrieved July 11, 2011. ↑ "John Fogerty: My Anger Towards Creedence Bandmates Has Faded". Rolling Stone. October 25, 2011. Retrieved November 11, 2011. ↑ "Creedence Clearwater Revival Reunion: No Chance, Drummer and Bassist Say". Spinner. January 3, 2012. Archived from the original on April 11, 2013. Retrieved January 4, 2012. ↑ "Creedence Clearwater Revival reunion a possibility". John Fogerty: Creedence Clearwater Revival reunion a possibility. May 20, 2013. Retrieved May 30, 2013. ↑ Varias, Chris (September 19, 2017). "Creedence Clearwater drummer: Woodstock 'was a nightmare'". The Cincinnati Enquirer . Gannett Company . Retrieved November 7, 2017. 1 2 Baker, Bob (November 1, 2002). "Fogerty to Wrangler: Song in ad 'ain't me' – SFGate". Articles.sfgate.com. Retrieved March 26, 2010. ↑ Baker, Bob (October 23, 2002). "Their 'Son' was Fogerty's baby; The last thing the singer wants is a Creedence corporate revival, but he doesn't own the rights, so 'Fortunate Son' now sells jeans". L.A. Times . Retrieved March 29, 2010. ↑ Fogerty, John (December 16, 2005). "John Fogerty Travels 'The Long Road Home'". NPR. Retrieved March 26, 2010. ↑ "John Fogerty Experiences a Musical and Personal 'Revival'". Spinner. October 5, 2007. Archived from the original on May 12, 2008. Retrieved March 26, 2010.